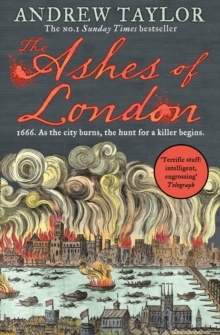 Set in 1666 a momentous year for London this is a rollicking historical thriller. After the restoration Royalists and Republicans uneasily have to come to terms with their respective pasts. Charles II’s ministers remain acutely aware of threats and plots when, in the aftermath of the Great Fire, a body is found ritually slain, a minor government functionary, himself the son of a Republican, is given the task of investigation.